Samples. 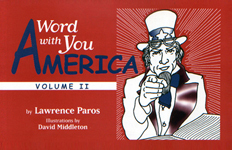 A Word with you America. 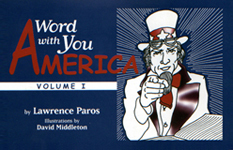 Language book in graphic format by Lawrence Paros. Things appear to be getting a bit out of hand in Washington. It hasn't always been this way. Being out of hand once meant "done or over with." Only recently, has it come to mean "out of control." Those most out of control tend to be the politicians whose hands are not clean. They would revert to its original meaning, "bringing things to a conclusion," by washing their hands of things entirely. This would put them in illustrious company. Pontius Pilate was the first to wash his hands while proclaiming his innocence, before putting Jesus to death, saying, "I am innocent of the blood of this just person." Lady Macbeth also tried to scrub her guilt away, trying to disburden her conscience of the "damned spot." Politicians have been dirtying their hands and showing clean hands since the 17th century. But enough is enough. 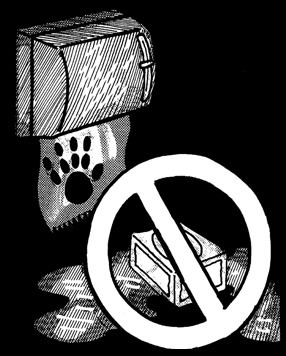 "No soap!" we should say, as they did in the 19th century when refusing a bribe — soap being slang for both "flattery" and "bribe money." You might also want to add, "It doesn't wash."
As to their soft-soaping us, the slippery quality of liquid soap being akin to to the cajolery they dole out – let's use it to wash our hands of them completely. Centuries ago, vessels returned triumphantly to their homeport with their colors (flags) proudly flying from their masthead. So too, when the our ship of state embarks on new foreign adventures, it first wraps itself in red, white, and blue. Red is what we paint the town with (19thC.). At the far end of the spectrum, it's the color most closely associated with the extremes of passion, violence, and promiscuity, the hue which best celebrates the initial excitement of any new undertaking. Justification comes in white. White is the color of the lies told, minor falsehoods motivated by higher concerns. The color has long been symbolic of purity and harmlessness. But as one 18th century philosopher warned, "White lies invariably introduce others of a darker complexion." Blue is true-blue, "loyal" and "unwavering," like all the Administration's people consistently parroting the party line — as in the Old Testament, where God commanded Moses to have the Israelites put a blue ribbon on the fringes of the borders of their garments as a reminder to keep his commandments. Alas. 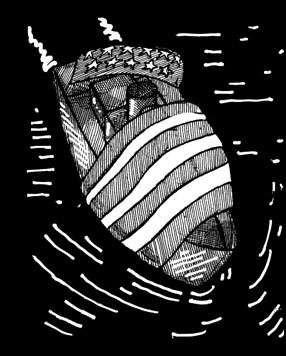 Though the ship of state returned from its adventure with flying colors, all that waving has reduced the flag to tatters. Count this voyage as anything but successful.